Frankie Rowe, who might well be the last of those who claimed to have handled debris from the Roswell UFO crash, has died. According to Don Schmitt, on Wednesday, July 26, she had surgery but was home on Friday, on the mend. In the afternoon, she mentioned to her daughter that she was feeling cold when she suddenly collapsed. The medics arrived in about five minutes and she was conscious when she was put in the ambulance. When she lost consciousness, they attempted three resuscitations but after the third, they realized there was little hope. She was pronounced dead at the hospital. I first met Frankie Rowe about a quarter of a century ago when Don Schmitt and I had just finished a presentation in Roswell. She had been in the audience and afterward talked to us briefly. We would meet with her many times over the years as she told of her experiences back in July 1947. Dan Dwyer, Frankie's father, on the far left. equipment from the fire department. Frankie said that she had been in Roswell and while at the fire department sometime later, a state trooper had stopped by. He said that he had a piece of the debris. Frankie described it as light weight and that it flowed like quicksilver. Over the years she added few details telling us about a visit from a military officer ordering her to keep the tale to herself. Originally, she just said that the officer had told her that if she ever mentioned the story her mother and father would end up in Orchard Park, which had been a POW camp during the Second World War. Later it would seem the threats had been more violent and more direct. One day she called me in a panic because she had had the telephone company out to repair her telephone. The man found what he thought to be a tap on her phone and Frankie was sure that the government was watching her now that she had told us about her experiences. We talked for about two hours. I don’t know if her phone had actually been tapped or if the repairman had misinterpreted something on the line. Whatever it was, Frankie was convinced that she was being monitored by the government. I found her to be a kind lady who had an extraordinary experience. I don’t believe I ever heard her say anything negative about anyone, though in the Roswell case accusations were often thrown around. Once she had told us, that is Don and me, the full tale, she didn’t change the story. It had taken a while for her to trust us, but once she did, she confided in us and looked to us for help. I last saw her a number of years ago at one of the more recent Roswell festivals. She was living in Roswell at the time and we had a nice chat. Later she would move to Breckenridge, Texas, where she died on July 28. She was 84. While it might seem that I’m waging a war on MUFON, such is not the case. I wanted to hear from James about his reasons for resigning. I wanted to know why several others had also quit MUFON. And I realize that the real work, of investigation UFO sightings and gathering data, is done by those at the lower levels who volunteer their time and money to learn what they can. I suppose you could say that most of us see the direction of MUFON changing for the worse. Topic: His work in UFO investigation and his publishing activities. 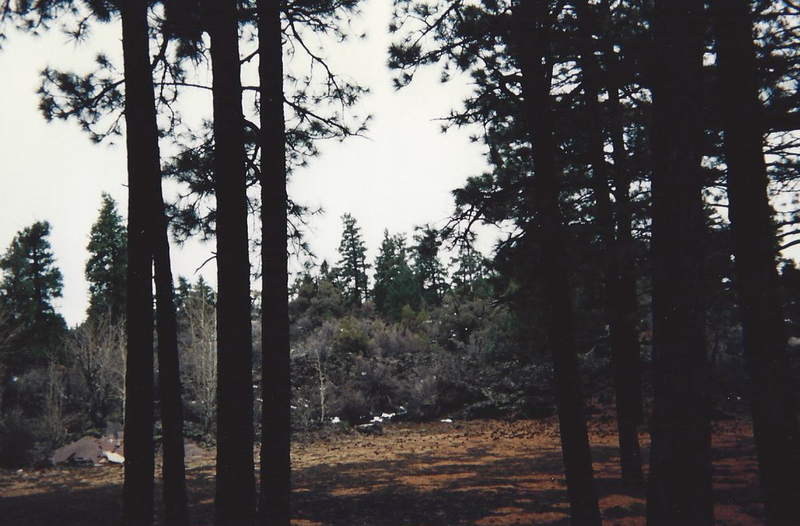 In June 2017, I released the testimony of the late Deputy Sheriff Charles Forgus who claimed that he had been a witness to the UFO crash at Roswell in 1947. He was the Deputy Sheriff in Big Springs, Texas after serving in the military during WWII. In brief, he claimed that he was en-route to Roswell with the Sheriff, Jess Slaughter, to pick up a prisoner. 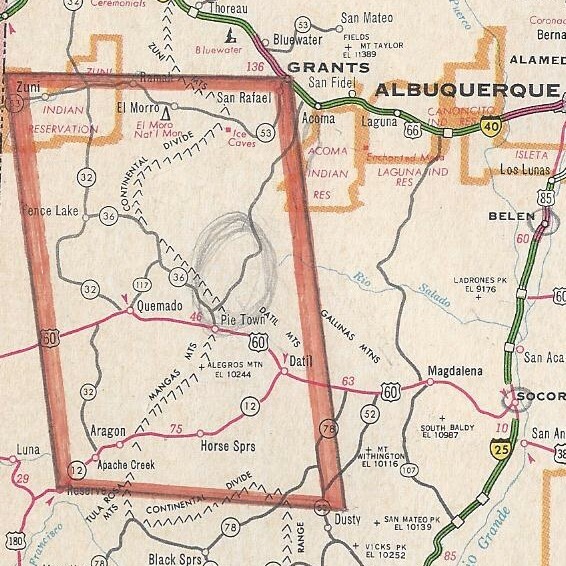 When approaching the Roswell area, they heard about the crash on the Police radio and drove to the area in question. Once there they observed the recovery of a 110-foot UFO and dead alien bodies before being told to leave the area. This testimony was given to a US private investigator by the name of Deanna Short. Sadly, this lady had also passed away. There is a video interview of Mr Forgus where he details these events. 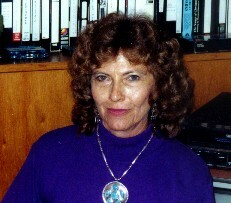 This testimony was investigated by myself and Irena Scott PhD the Mutual UFO Network. Dr Scott revealed the full information in her book ‘UFOs TODAY, 70 Years of Lies, Misinformation and Government Cover-Up’ and I published it in various UFO publications and it was also featured in the online editions of several of the UK’s national newspapers. One of the reasons for releasing the testimony of the late Charles Forgus was in the hope that either a family member of a friend might come forward with some further information. We knew this was along shot but there was no reason why we should not give it a try. Hello, I just discovered the video you posted of the interview with CH Forgus. He was my uncle. Interestingly, he never spoke to us about this incident when I was young and I only recently found out about the story from an east coast MUFON investigator. I can tell you, he is not a person who would have fabricated this story. He was very straight laced and no-nonsense type of person...that's why he was in law enforcement. I have the full transcript of the interview if you would like to read and post it. Thank you. Again, I thanked him for this and I have the MUFON report in question. MUFON had researched the claims of Deputy Sheriff Forgus and had speculated that he might have been witness to an event in 1953 and not 1947. One thing that is certain is that the Sheriff he stated he was with at the time, Jess Slaughter, was not the Sheriff in 1947. He was a Sheriff in the 1930’s and the 1950’s but not the 1940’s. I don’t have any other pictures of him. 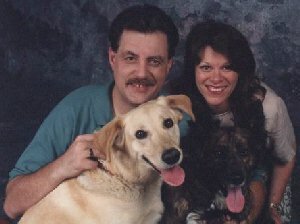 He has a son, Glen Lee Forgus, and a daughter Toma Forgus, but I haven’t kept in touch with them. I know Glen Lee lives in California and he has two daughters as well. I found a phone listing a few months ago and called Glen Lee and left a message, but never got a response. I would guess CH spoke to them, but I don’t have any current contact information. We were not a close family. The only other person that might know the story is his nephew, Charles Buzzbee in Big Spring, Texas. You might try and contact him. His mother was CH’s sister. I would also believe he would have mentioned it to his brother, my father, but if you knew the Forgus family and west Texans in particular, Uncle CH would have been roundly made fun of for sharing his experience. That’s what assures me all the more that he is telling the truth. He was ex-military and ex-law enforcement and was not the type of a person to make up a story like this. I knew him well and can tell you his personality was not one that liked or sought the spotlight. He was also not an imaginative person to create such a story. He was very straight laced like all of the Forgus men and women for that matter. It was certainly a very different time when they grew up and my father’s family grew up very poor. So, they were extremely pragmatic and not ones for hyperbole. They believed only what they could see and hold. The nephew has supplied me [Philip Mantle] with two contact numbers and addresses of these other family members and I am in the process of contacting both of them as we speak. If I get a reply I will of course let you know. Unfortunately, the nephew could shed no light on the claims made by his late uncle but we feel vindicated in releasing this material as we did as it has brought this gentleman forward who in turn has supplied the details of another two, family members. Whether they will be able to offer any further information remains to be seen. This is not to say that the show wasn’t interesting. We talked about Alejandro’s investigation of the Stan Romanek’s UFO sightings and his video and photographs of an alien creature. Getting Alejandro’s personal insight, from someone who spent time with Romanek and his family is interesting. We also delved into MJ-12 and his conclusions about the validity of the documents. He seems to think about them the same way that I do, and which, I believe, the majority of those who have looked at the case think. In other words, the evidence for a hoax is overwhelming and in the world today, it’s fairly clear who created those documents and the reason behind them. Anyway, the show was side ranging and filled with information that should be interesting to a cross section of the listeners. Because it isn’t time for the premiere of Game of Thrones Season 7, and I have nothing better to do, I thought I’d kick another sleeping dog (sorry of that analogy offends). For laughs, I took a look at the Pteranodano photograph that was allegedly taken by Billy Meier during a July 1975 trip to a world some 9.38 billion light years away which is about halfway across the known universe. It’s a badly focused picture with little real detail that is actually somewhat reminiscent of those first photographs taken in the early 19th century but you can recognize the flying dinosaur. In the course of the presentation, it was said that Meier had taken the picture, as he had those of other dinosaurs. We were even treated to a picture of Meier in a spacesuit walking about on another planet, outside the spacecraft so that he could get the pictures (which has been identified as a picture from a science fiction movie). Karumudi Mahesh Chowdary tells me the video showing two people flipping through an album containing Meier's space and time travel photographs are Wendelle Stevens (flipping the album) and Randolph Winters (holding camcorder) in 1989. Winters and Wendelle are just flipping through Meier’s album taking pictures of the pictures Meier had taken. But as I say this established a link between Meier and the picture of the Pteranodano. The dinosaur pictures, both the painting and the alleged photograph (yes, I know it is a real photograph but it is a photograph of a painting) can be found beginning at 6:31 in this video. The fact is that the opponents of “Billy” never concerned themselves in an honest form with the true origin of the purported dinosaur pictures and did not investigate the actual source. Otherwise, they would have discovered that the purported pictures were not put into circulation by FIGU or “Billy” Meier but by a malevolent, foreign hand [Michael Horn and Wendelle Stevens? ], with the intent to harm him. Many allegedly notable UFO researchers and self-proclaimed Meier experts, in their investigative delusion, have jumped on the train of falsification and prevarication, without examining the true sources. This practice can be found on the Internet in innumerable articles about BEAM. Nevertheless, the actual truth about the photo will one day let so many ufologists leap over the shadow of embarrassing disgrace. In actual fact, no sound evidence exists, which proves that the aforementioned photo was taken by “Billy” Meier. With not a single word or written testimony has BEAM ever claimed this on his own, and indeed, because of the simple fact that the aforementioned picture of the pterosaur, along with many other forgeries, had not been taken by “Billy” Eduard Albert Meier himself but had been foisted on him by a foreign hand [though on the video, that claim is made]. These facts correspond to the truth, even if the truth doesn’t want to be accepted by his opposition – as is the case so often. The truth about the so-called dinosaur photos will hardly be published by the notorious occupational critics because through the aforementioned photo, a certain inconsistency in the Meier UFO Case can actually be found – an inconsistency that certainly makes sense since the image does, in fact, concern a forgery. To the disappointment of all the glorious investigative specialists, the forgery was, however, not created by BEAM but rather by his opposition – completely in line with: BEAM’s Men in Black opponents hoodwink BEAM’s ufologist opponents. There, two drunks probably beat on each other’s fingers[whatever the hell that means]. But at least a good job must be granted to BEAM’s opponents, with regard to the discovery of this forgery. The book found to have been used for this is not a bad achievement and is also of good use for FIGU. As a critical, searching, and inquiring human being - even in the case of “Billy” Meier – I am fully aware of a certain sense of achievement in investigation. I must admit, however, that I much prefer to use my time and energy for an argumentation in favor of the true truth about BEAM than for superficial and blind faultfinding. So now we have a couple of excuses for way the fake picture was claimed to be one that Meier had taken. First, it wasn’t taken by him but slipped into a bunch of other pictures that he had taken as a way to discredit him. The Men in Black did it or maybe it was the CIA. Now we learn that the book that held the actual illustration, had a faked copyright date on it. A backdated book to fool the public so that we can see the vast conspiracy out there attempting to discredit Meier. Then Horn chimes in with the fact that books, back in the old days which, of course, was the last part of the 20th century, sometimes took months and even years to be published. This would be relevant if the book was copyrighted at the time of submission of the manuscript, but that’s not the way it worked. The copyright date was the month and year in which it was published. What we are left with is evidence that Meier had taken a picture of a Pteranodon that was an illustration from a book published two years earlier. Caught with this problem, we learn that Meier hadn’t taken the picture but some unidentified organization whose mission it was to discredit Meier had taken the picture and slipped it in with all the others that Meier had taken on that day in July. It’s not completely clear how they might have done that, only that they had. That picture, identified as a fake by Quetzal, and who demanded that it be destroyed, failed to get that done, and the next thing we know it is being circulated by Meier’s pals, Horn and Stevens, as the real thing. But when it is discovered that it was part of another, earlier book, we learn that this was not a picture taken by Meier but someone else. You just have to ask if any of this makes any sense at all. These are the facts as presented about this picture. Is this alone enough to discredit Meier, or was it really some conspiracy cooked up by the Men in Black. I believe this does suggest something about the reliability of the Meier testimony. Others, I guess, will disagree. Eight days after the provisioning party had left, they were expected to return, but they didn’t. On the ninth day Adams, and his bunk mate, sometimes identified as Dutch Davis but most often as Jack Davidson, decided to ride out to meet them. As they neared the entrance to the canyon, they heard shooting. As they crept closer, they saw that the Apaches had attacked the provisioning party and they were all dead, the supplies scattered. Or, according in other versions, when he and Davidson arrived at the entrance to the canyon, they found the supply party had been killed, the supplies either stolen or dumped out on the ground. For some reason, Adams would claim they hid the five bodies before heading back to the camp. They didn’t find the body of Brewer, however. That finished, Adams raced back to warn the other but before he could get there, the miners were attacked. Adams, along with Davidson, hid among the rocks and trees, watching as the remaining prospectors fought to save themselves. One of them broke from the defense and tried to reach the cabin, but the Apaches caught him far short of it. There were a few in the cabin, but the Apaches set it on fire. As the fighting tapered, Adams knew there was nothing he could do to save the few miners remaining. If he and Davidson stayed where they were, they might survive. They could hear the Apaches, in the distance, celebrating their victory. In one of those other versions, Adams and Davidson were again too late. The other miners had been killed. Now the Apaches, which included both warriors and women, were celebrating the victory. They were dancing around the smoking remains of the cabin with the heads of the miners on poles. 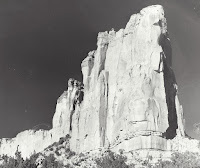 Adams knew the Apaches weren’t stupid and it was clear that they had been watching the prospectors from the moment they arrived in the canyon. They knew how many men had entered and how many had left for supplies and they would soon discover that at least two of the men had slipped away to hide somewhere. The German, Snively was either hiding as well, or had left before the attack. The point was that the Apaches should have known that three or four men had somehow gotten away. Adams and Davidson remained where they were, through the heat of the day, trying to ignore the celebration near the cabin. 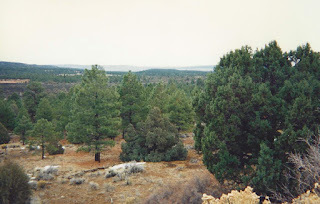 Once it was dark and there were no more signs of any Apaches, he and Davidson sneaked back to the cabin. Under the hearth, was a container filled with gold nuggets. Adams thought it held about a hundred thousand dollars, and that it was worth the risk to recover it. Adams would tell those who listened to his stories that after midnight, “The first thing we did was make our way back to the cabin. I thought we might be able to get the gold hidden there.” But the cabin still smoldered and it was too hot to get close enough to recover the gold. Instead, they filled their canteens from the stream, and as they were getting ready to leave, Adams remembered that he had hidden a couple of nuggets in a tree stump on the first day of prospecting. He thought he could find them without additional risk. They escaped from the mine, worked along the zigzag canyon, climbed down to the plateau with the pumpkin patch and crossed it. By that time, it was beginning to lighten and Adams didn’t want to travel in the daylight. They found a place to hide and attempted to remove any traces of their passage. Adams would later say that one group of Apaches had passed close to them, but didn’t find them. Late in the afternoon, another group passed them, and again failed to find them. When it was dark, Adams and Davidson left the plateau, worked their way down to the dry stream bed and finally came out in the open desert. 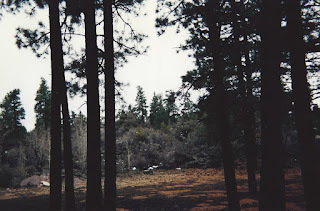 As the sun began to rise, Adams seemed to be convinced they had eluded the Apaches and decided they should keep going. Adams now believed that it was important to reach civilization as quickly as possible. They didn’t have any food, limited water, and the area was alive with now hostile Apaches. For the next week they traveled, resting in the heat of the afternoon, eating wild grass, acorns and weeds. They found enough water to survive. Twice more they dodged Apache scouting parties. On the seventh day, they were spotted by a third, but Adams was too tired, too hungry and too discouraged to care. They just kept moving but these Indians were friendly. As darkness fell, they entered the friendly camp. Adams remained in the friendly village for weeks, regaining his strength and when he felt up to it, he returned to Los Angeles. There he told his story to anyone who would listen to him, drew maps for those who asked, but didn’t seem interested in returning to New Mexico himself. In a slightly different version of the tale, Adams and Davidson stumbled through the New Mexico desert for a week or ten days. When their horses collapsed, the men shot them, boiling the meat for something to eat. They walked until the soles of their boots wore out. The found the wagon trail that had been pointed out and that would take them to Fort Wingate, but Adams didn’t know which direction to take. Apparently, he picked the wrong one but eventually saw horsemen in the distance which was a roving cavalry patrol from Fort Apache. After recuperating, Adams showed the doctor who had cared for him one of the nuggets he had picked up. He shared with the doctor all the information he had about the canyon, the landmarks and the massacre. The doctor said that he might try to find the gold himself someday. That was the thing about Adams. He was always ready to supply directions to those who thought them might want to find the gold. Of course, he said that he was going to return for it as well, but it would be years before that happened. Next we’ll look at the Lost Baxter. Don mentioned some of the things he had been investigating in the UFO field including the possibility of human mutilations. He talked about some of the things he had observed in the field as he continued his work and how his position as a police officer opened a few paths that were not available without these law enforcement connections. And I mustn’t forget that he did mention that he lived in Southern California. 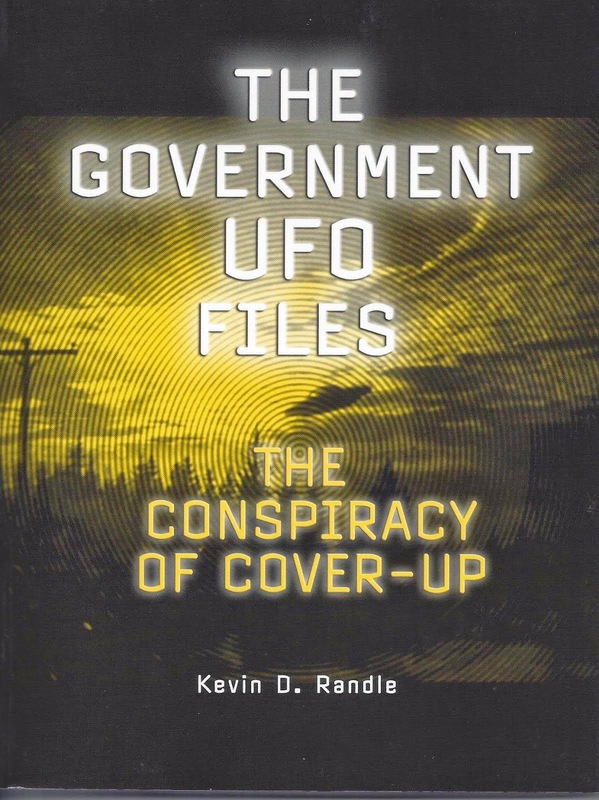 Don and I also talked about some of the trouble faced by MUFON and some of his trouble with them over the years. 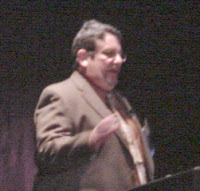 He related a run in with Walt Andrus, one-time International Director of MUFON in Las Vegas in 1989. Topic: UFOs today (more or less). 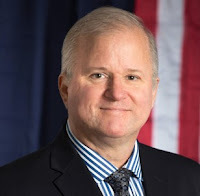 man who claims contact with alien creatures going back to 1975, or maybe even earlier depending on whether you count his alleged childhood contacts in that number. I told Horn in the initial conversation that I was not a fan of Meier, knew something of the case, but found Horn’s claim about MUFON ignoring Meier to be of interest in what I was doing. This resulted in a barrage of emails and comments by Horn filled with links to Meier supporting sites, and one-sided arguments about the reality of Meier’s claims. I followed the links which is why I know that. I didn’t find them particularly persuasive. I had looked at the Meier claims in the past and even mentioned that I had Kinder’s book, Light Years, to prove that I had been aware of Meier for a long time and his claims of contact were unproven, at least to me. This, apparently, annoyed Horn. Censorship was his claim, but it was more of editorial decisions because I can’t publish everything and I don’t want to publish something I don’t believe, unless of course, I’m using it to show how outlandish some stories can be. Without editorial comment, it was a direction I did not want to go. Oh, I’ve given others a chance to respond to my criticisms without me making changes or deleting sections of their responses. Those have been by invitation, such as saying, “If the so and so wishes to respond, I will publish that response without comment.” Sometimes that just seems to be fair. Horn upped the ante then with other allegations which were little more than a transparent attempt to manipulate me. To prove I wasn’t the things he said I was, I would have to publish his comments, even when those comments were not relevant to the original post. In other words, he was attempting to hijack part of the blog. He wanted to turn it into another propaganda tool for him and Billy Meier. Well, that’s not going to happen. Instead, I decided to update my knowledge of Meier and see what others had to say. The consensus seemed to be that the Meier contact claims were not based in reality. I fear mentioning names of those commentators here because I don’t think those others need to be bombarded by emails from Michael Horn. However, I looked the Meier case up in Jerome Clark’s UFO Encyclopedia, 2nd Edition. It was surprising neutral in tone which is a compliment to Jerry’s reporting. It is certainly skeptical but not filled with the vitriol that sometimes passes for reasoned analyses. This struck me as silly because if the Pleiadians were interested in proving their existence to the skeptics, why not make their beamships visible to a huge crowd assembled for the purpose. With TV cameras rolling and hundreds taking pictures, that would pretty much prove the case… with one man taking the pictures at some secret location as some unspecified time without corroborating witnesses, the pictures themselves proved nothing. I very recently spoke to Meier and Horn, and asked them why, in almost five years, they had failed to meet my challenge. Their response was that they had put forward enough UFO physical evidence, and to put forward any more would be pointless. They went on to speak about the metal alloy samples that they put forward in the 1970's, which were looked at by scientists at the time. In my response [Wharton] I pointed out that Meier had not put forward a single scrap of new photographic evidence in well over 25 years. Why not? I also reminded Meier and Horn that their metal alloy samples came back from the science laboratory with an official report. This report concluded that the samples were 100% terrestrial in origin, and could be very easily replicated by simply melting down some metal alloy and adding some glass, crystals and quartz. Basically, the samples were of no use what so ever to either the UFO or scientific communities. This is the sort of answer, suggesting they had already done it and were not interested in doing again, is what I expect from those who simply don’t have the proof they claim. I can’t tell you the number of times that I have asked someone for their military records to support their claims of military service and get a similar answer when they say that they have done so and to do so again is pointless. I will also note when challenged I do produce the military records to prove my claims. Here, rather than produce the evidence, they refuse with a ridiculous excuse. If you wish to prove something that is outside the mainstream you must expect repeated requests for the evidence. That’s science. Repeatability. Rather than drag this out, I’ll let you all go to the sites to read both articles. I will note, however, there doesn’t seem to be any evidence that Meier did anything other than make some vague statements that could be adapted to any of a number of world events. It is not unlike saying there will be a major earthquake in 2017 (remember you read it here first). I will add that I’m sure that Horn will respond with a long list of other, supportive websites, so I feel no obligation to do so here. In fact, for those interested in all this, there are any number of websites either endorsing or rejecting Meier’s claims. MUFON is unneeded to give this nonsense a platform because many others have done so, as seen by the number of websites devoted to the Meier case. And while I know that I will now join the ranks of the other “liars and deniers” of the Meier claims, I will also note that I haven’t called anyone a name, suggested they were cowardly, had no integrity, but have tried to provide all the information for those not familiar with a case to come to an informed opinion. Although Kal Korff has discredited himself repeatedly with his antics, he accurately wrote, in his book Spaceships of the Pleiades, “The Billy Meier ‘evidence’ is now a money-making machine that shows no signs of slowing down.” This says it all. Let the blow back begin. Although I had lots of questions, as usual, the time got away from us. 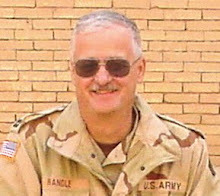 We talked about how Hynek ended up as the scientific consultant to the Air Force’s various projects and his evolution from arch-skeptic to a point where he began to think in terms of possibility. That means, rather than rejecting all sightings that had no ready explanation as impossible because there was no such thing as interstellar travel, to the idea that some sightings had no easy explanation no matter how in depth the investigation might have been. And, of course, there was talk of Hynek’s training as an astronomer and some of the innovations that he implemented. Although his idea of a balloon-borne telescope lifted above the Earth’s atmosphere was scrubbed by the Air Force before he could get the telescope off the ground (pun intended and yes it has been difficult to write about that without littering the commentary with puns), it was an idea before its time. While most of us know Hynek as the UFO guy, it is clear that he had a fine career as an astronomer as well. 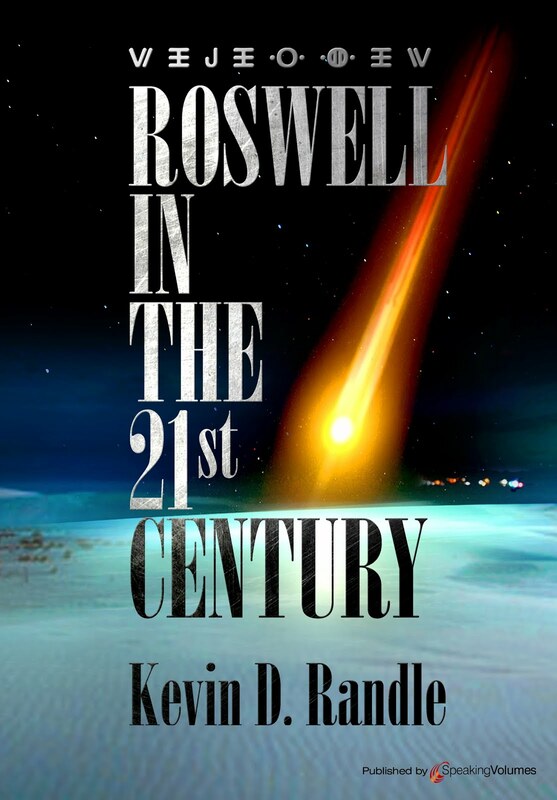 Topic: His travels through the world of UFOs and his troubles with MUFON. 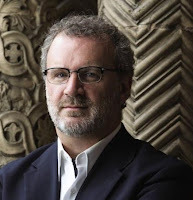 When I interviewed Jan Harzan recently, I expressed my concern about the direction of MUFON and some of those invited to make presentations at the Symposium. I thought that some of the speakers were less than credible, thinking specifically about one man who seemed to claim to some sort of time travel before I realized there were two. Harzan’s response was that he wanted to give the membership a chance to hear the tales and decide for themselves if they believed them or not. The thinking here, I believe, was present an interesting program that provided data on the alleged secret space program, even if the evidence of such a thing didn’t exist, other than some testimony from some rather dubious sources. Besides, it would draw in more paying attendees but really has little to do with UFO research. One of those speaking is Corey Goode, whose bio seemed to be more like that of Ender Wiggin. For those of you who don’t read science fiction, Ender Wiggin was a six-year-old boy who was recruited into the International [Space] Fleet in the fight against the Buggers, an alien race that had invaded the Solar System, twice. The fight would be taken to them, on other planets in other star systems. Ender was a genus at strategy and tactics and something of an empath, though that it never actually spelled out in the book. Instead, at the moment he comes to love his enemy, that is the moment that he destroys them… though by the end of the book, he is the one who saves that alien race from extermination. I mention this because of some of the parallels that I see among the speakers at the Symposium. Identified as an intuitive empath (IE), Corey Goode was recruited into Military Special Access Programs (SAP) at the age of 6. This program groomed Corey to be drafted into a Secret Space Program called “Solar Warden” in 1986. For the next 20 years Corey was assigned to a research vessel as well as being pulled into multiple other related assignments. This was designated as a “20 & Back” assignment which involved age regression (via Pharmaceutical means) as well as time regressed to the point of beginning service. 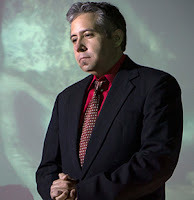 In 2015 Corey Goode was featured on a ground breaking new series on Gaia TV called “Cosmic Disclosure”. Corey has been sharing his experiences in these SAP’s in what has now become 7 seasons of Cosmic Disclosure. I’m sorry but I don’t believe any of this except maybe that his name is Corey Goode. He has no evidence, or maybe I should say no reputable evidence, that any of this is true. I can’t file FOIA, I can’t see the headquarters or the office. Nor do I believe that the Navy had built “space carriers,” which if true would have required a crew of hundreds. Why are there no others talking about this? Obviously there has been no repercussions for Goode violating his oath. He hasn’t been prosecuted for it which show have inspired other “whistleblowers,” though none have come forward. Andrew Basiago : Time traveler. His talk will include the origins of Project Mars of the 1980s in Project Pegasus of the1970s; the program's goals; the training seminar; the identity of the young Americans who were the speaker's fellow trainees; NASA's involvement in selecting the jumpers; the desired traits of those to go off-planet; the origin, structure, function, and location of the jump rooms; what the CIA's threat assessment about the Martian civilization revealed about the true history of US probes to Mars; the dangers faced by jumpers; the speaker's acclimation jumps, exploratory jumps, and ultimate mission; the characteristics of three Martian humanoids; the identity and testimony of seven jump room whistle blowers; and the involvement of Buzz Aldrin, Barack Obama; Richard Nixon, Howard Hughes, Stansfield Turner and Ross Perot. Attention will be given to President Obama's disinformation ploys concealing his participation in the program; whether the jumps were made to Mars or a “synthetic quantum evironment” (sic) in time-space; and the politics in exopolitics that have prevented the Mars jump room story from being given the standing in Ufology that it deserves and that the speaker's work has earned. And no, I don’t believe this tale either. There is no credible evidence for this. But like Goode, he attracts a crowd with his preposterous tales of Martian humanoids and predators that are so fierce that his superiors gave him a cyanide capsule to commit suicide if trapped rather than a large caliber firearm to protect himself. But Harzan said that he wanted to give the MUFON membership the opportunity to listen and decide what they wanted to believe. Fair enough… then why is the same courtesy not extended to Michael Horn, who believes that Billy Meier has been in contact with space aliens? Shouldn’t he be allowed to present his tale to the membership so that they can decide for themselves? The real point, I suppose, is that if we expect to earn the respect of various other groups (journalists and scientists just to name two), we have to be careful in what we accept as reality. We can’t believe something because we want to believe it, especially when it is so outrageous. The driving force should not be a potential to make money off the claim. While it might be nice to give a platform for some of those with extreme views, we ought to be sure that their views are based in our shared reality and not in science fiction. Unfortunately, that is where we now find ourselves because it really is all about the money. For a time, in the movies, it was known as Mackenna’s Gold, and for a short time in the eighteenth century some called it the Lost Baxter, but most know it under its original and most common name, the Lost Adams. For more than a hundred and fifty years people have searched for what would be the richest placer gold deposit ever found if the original story is true. And, like all good stories, it begins with a mystery man who might have been an Apache or maybe a Mexican, or maybe a little of both, who leads the men to the canyon of gold and then ends, for the most part, with a massacre of those men. All of this because of broken promises and violations of agreements. His name might have been John, or Edward, but most just knew him as Adams. He was the lone survivor, or maybe it was he and a man named Jack Davidson, who had survived the Apaches. Or maybe it was those two men and another known as John Brewer who had been able to avoid the massacre. And then, of course, there was the German, John Snively, though in some accounts he is identified as Emil Schaeffer, who grabbed some gold, kept to himself and either left before the Apaches arrived, or managed to hide in the small cave that he had claimed for his shelter until the danger passed. He always started the story the same way. A freight trip to Tucson and a rude awakening one morning as the Apaches ran off his horses. Adams said that he had the habit of keeping one horse saddled, so he gave chase, recaptured the animals but when he returned to camp he found his wagons looted and burned. With only the horses he had saved, headed for the nearby Pima Indian reservation where he might be able to replace most of what he had lost, or at least enough to get back to Los Angeles. At first no one believed him, but other villagers claimed he was reliable and if he said he could do something, he could do it. The prospectors then questioned Gotch Ear carefully and were finally convinced that he was telling them the truth. He could describe, in detail, the area around the canyon, the trails leading to it, and what could be found once they managed to get there. To further prove his honesty, he told the prospectors that he wanted no gold, only a horse or two and a rifle and a few other things, to be given to him when he led them into the canyon. If he had lied to them, then they could kill him. But there were those who couldn’t let the story go and continued to investigate. Finally satisfied with the tale was true, another meeting was held. Gotch Ear was called in, questioned yet again, and when his answers didn’t vary and that he was willing to risk his life to prove his statements, they were convinced. He said he would sign a document that he could be shot if he could not prove that the gold was there. His price, though was a little steeper now. He wanted a hundred dollars, a rifle, a pistol, a tent, two pack horses and a saddle horse. Adams, it seemed, hadn’t been there for most of this. He told Byerts, “I appeared in the Pima Village as the organization of this company was being perfected.” Because he knew some of the old-time miners and because he had nothing else to do, Adams joined the party. 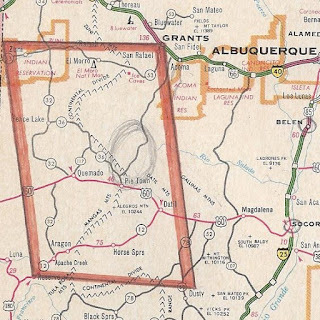 They left from what is now Casa Grande on August 20, 1864. Adams later supplied a set of general directions for those that would follow in his footsteps. From the Pima village, the prospecting party headed to the northeast until they reached the Continental Divide. They worked their way down to an open plain and continued for another fifteen miles or so. Then without having seen any prominent landmarks, not even a trail, they turned due north. In the distance were some mountains and keeping them in sight, they traveled another six or seven miles. They continued on for several miles, still moving in a northerly direction, and then dropped into a deep canyon. They followed it for several miles, winding back and forth until the trail widened out onto a small plateau or mesa about five hundred feet above the surrounding territory. The plateau had been cultivated by one of the local tribes and the prospectors found the remains of corn, beans, onions and pumpkins. This would be the pumpkin patch that Adams often mentioned and that became an important part of the legend. On the other side of the plateau they entered an arroyo, followed the dry creek bed, and then a zigzag path through the cliffs. They climbed to about a thousand feet and then stopped again. Just ahead of them was a beautiful, tree-lined, grass-covered valley with a stream bubbling through the center. At the far end was a waterfall. The prospectors led their horses to the water and as the animals began to drink, one of the miners noticed gold nuggets in the stream. Hundreds of them were mixed in with the sand along the bank. Gold seemed to be everywhere and they still hadn’t reached the motherlode, at least according to Gotch Ear. For a few minutes, they were grabbing as much gold as they could find, but then they were laughing, slapping each other on the back, and screaming their excitement. They had found as much gold as anyone of them could ever use, ever spend and it was just laying around all over the ground, waiting for them to pick it up. When they finally settled down, they told Gotch Ear that he had fulfilled his promise though he told them that this was not the canyon he had described for them. It was farther away, though not that far but the prospectors were satisfied and they were going to stay where they were. There were trees and water and the gold that was easy to get. They didn’t have to go any farther. Gotch Ear was given his horses, his rifle and the other items and he disappeared… from both the canyon and the story. That night, they began planning for their assault on the gold. They decided that they would all share in it equally, but not all would be working the placer deposit. While one group worked to build a cabin, another would do the mining and a third would go for supplies, but the largest group would be working the mine. All seemed to agree except for a German, John Snively. He was afraid of the Apaches and asked to be left out of their agreement. He would gather what he could, keep that for himself and then leave when he thought he had enough. He just didn’t want to be killed by the Apaches. Besides, no one cared. There was more than enough for everyone. The next day, the provisioning party of six and under the leadership of John Brewer, left taking a few nuggets to pay for the supplies. In some accounts, Snively went with them while others suggested that he stayed in the canyon but camped in a small cave away from the rest of the prospectors. There is some evidence that he left the canyon with about $13,000 in gold nuggets. Just as Snively had feared, the Apaches did find the miners, but there was no attack. Instead they warned the miners not to venture beyond the waterfall at the far end of the canyon. If they remained where they were, they could take away as much gold as they could find and carry out with them. But, the warning was ignored. A couple of the men remembered what Gotch Ear had told them about where the major gold strike was and wondered just what was above the falls. Now their curiosity was aroused and then didn’t think it would hurt to take a look. They returned with a tale of even more gold in bigger nuggets, these the size of turkey eggs. If their fellows thought that the nuggets they were picking up were large, they should see what was scattered above the falls. The nuggets there were two, three times as large as those they had been collecting. Things seemed to settle down into a routine. They had more supplies coming, they were picking up thousands of dollars in gold each day, and a cabin was being built for their shelter. They had nothing to worry about… except they had forgotten the warning given them by the Apaches. Had they listened, the tale might have ended differently. As it was, it became another clash between cultures. Paso Herald. The penciled area is closest to the location of the Lost Adams, at least as I thought about it in the 1970s.